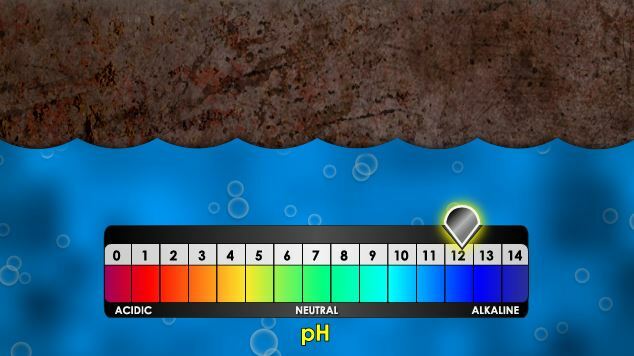 Low feedwater pH results in corrosion when pH drops below 8.5. pH can be lowered by addition of acids and increased by addition of alkalies. 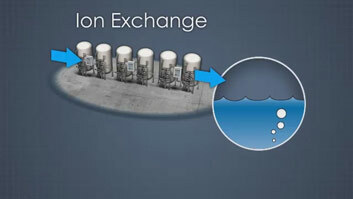 External treatment typically takes place in a clarifier followed by a hydrogen cycle cation exchange and a hydroxide cycle anion exchange demineralization. 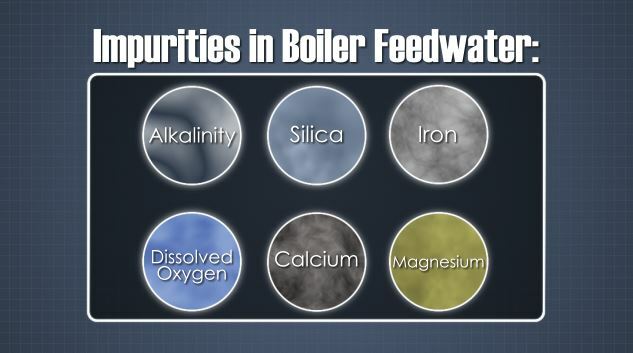 Impurities in boiler feedwater may include alkalinity, silica, iron, dissolved oxygen, calcium, and magnesium. The primary function of a boiler is to transfer heat from hot gases generated by the combustion of fuel into water until it becomes hot or turns to steam. 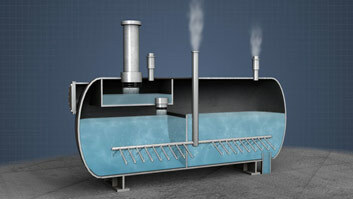 The steam or hot water is then used in a variety of facility processes. 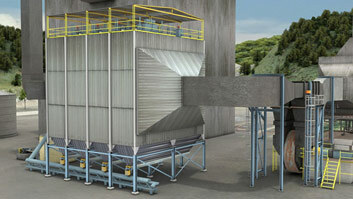 Boiler feedwater often contains impurities, which impair boiler operation and efficiency. 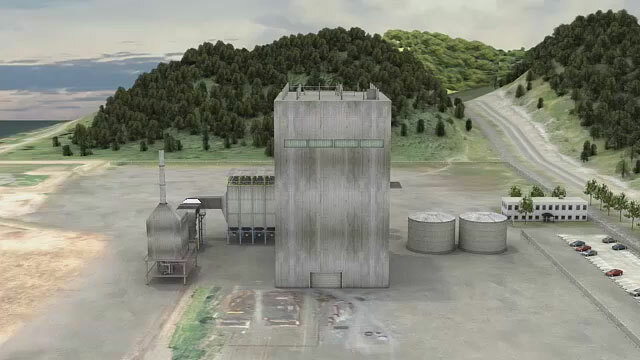 To improve feedwater quality and steam purity, as well as correct other problems caused by impurities, chemicals can be injected directly into the feedwater or steam. Chemical additives increase boiler efficiency, reduce fuel, operating and maintenance costs, minimize maintenance and downtime, and protect equipment from corrosion and extend equipment life. What is the purpose of chemical additives used in boiler feedwater? To improve feedwater quality and steam purity, as well as correct other problems caused by impurities. They can increase boiler efficiency; reduce fuel, operating, and maintenance costs; minimize maintenance and downtime; and prevent corrosion and extend equipment lifetime. 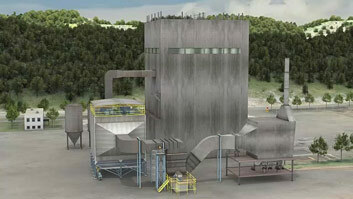 What types of impurities might need to be removed from boiler feedwater? Alkalinity, silica, iron, dissolved oxygen, calcium, and magnesium. What are the major types of external treatments? Softening, evaporation, and membrane contractors. What are the major types of internal treatments? 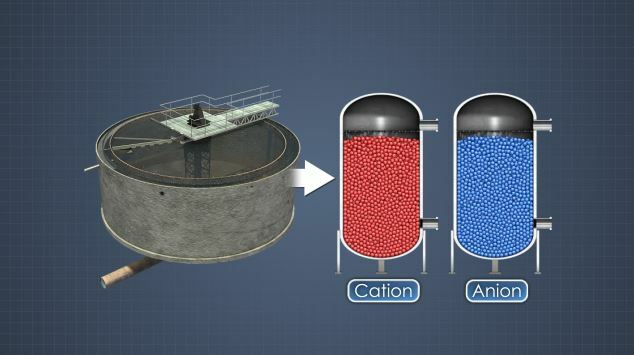 Why may chemicals be added internally or externally to boiler feedwater? External treatment is used when the amount of one or more of the feedwater impurities is too high to be tolerated by the boiler system. The purpose of internal treatment is to properly react with feedwater hardness, condition sludge, scavenge oxygen, and prevent boiler water foaming. The primary function of a boiler is to capture the heat from combusted fuel to heat water and generate steam. The conditions within a modern boiler place some stringent requirements on the water which circulates through it. 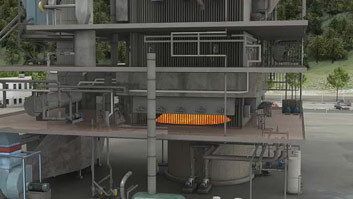 First, at the high temperatures and pressures within the boiler, low concentrations of some chemical compounds in the boiler feed water, which are not a problem at room temperature, will either become corrosive or create damaging deposits on the hot walls of the boiler tubes. Second, as water boils and creates steam, solids in the water tend to remain in the water. This creates a situation where even small concentrations of impurities in the feed water tend to increase with time. Increased concentrations magnify the negative effects of the impurities.